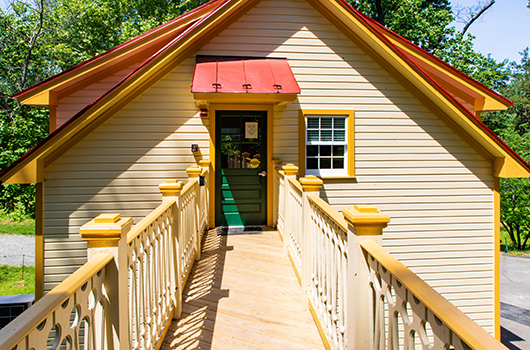 Saturdays and Sundays, 10 a.m.–2 p.m.
View the Fort C.F. Smith Park page. Fort C.F. 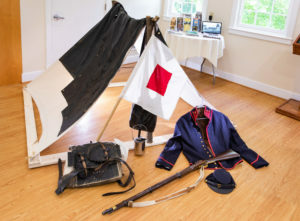 Smith’s Visitor Center offers the chance to learn about Arlington County’s rich Civil War past. 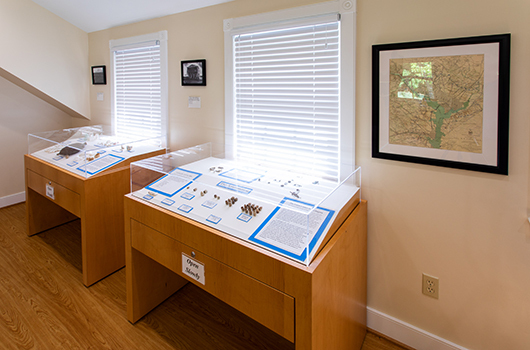 The Visitor Center highlights the history of Fort C.F. Smith, which was built in 1863 as part of a circle of 68 forts constructed around Washington, D.C. to protect the city. The Fort C.F. 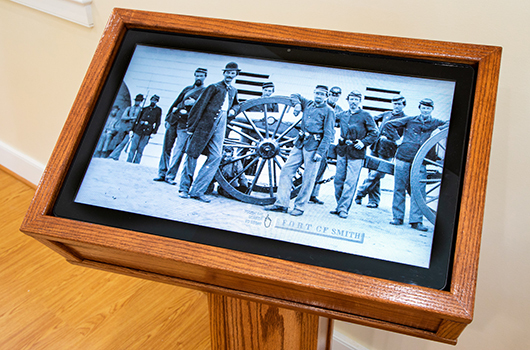 Smith Visitor Center was designed to immerse visitors of all ages into the lives of Union soldiers who garrisoned the forts of Arlington. 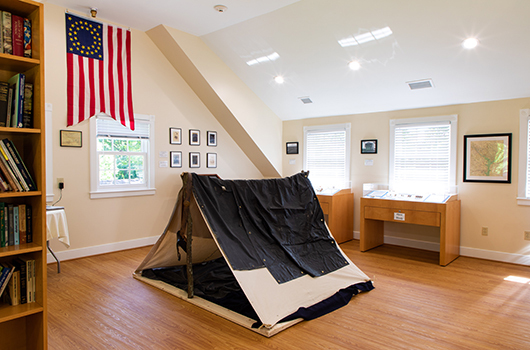 The exhibits begin with a replica Union campsite, complete with uniforms to try on and explore. 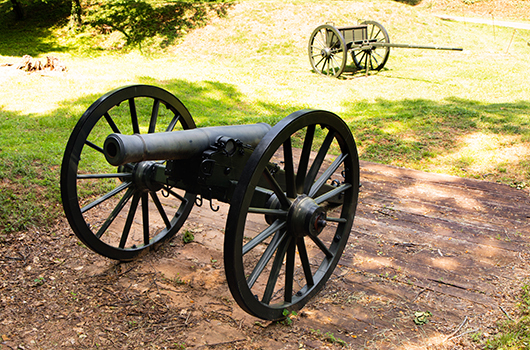 Visitors may also view a variety of Civil War artifacts recovered from several Arlington forts. One of the highlights of the Visitor Center is an interactive soldier database, which compiles and shares the stories of real Union soldiers stationed at Fort C.F. Smith. 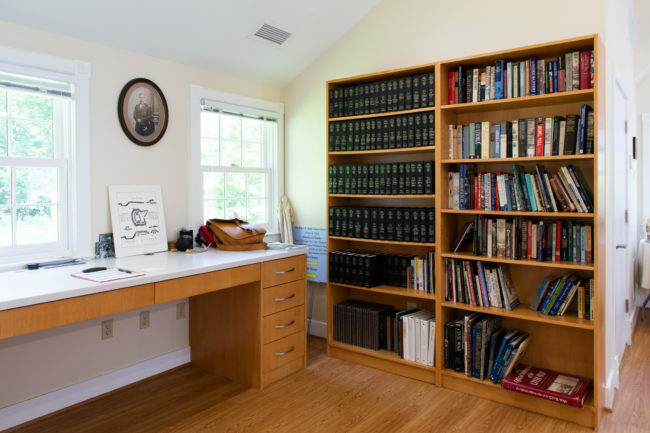 A small research library, coloring station and photo collection round out the experience.